My friend was recently on vacation and after returning she gave to me very nice gift. 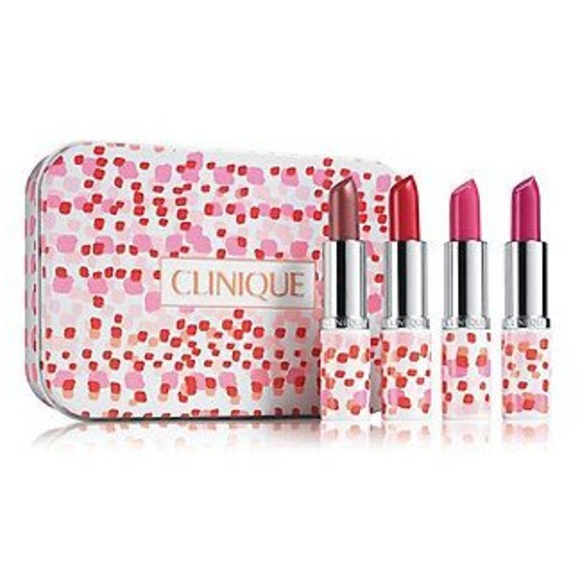 She bought a set of four lipsticks Clinique Kisses Set and me and three other friends get a one shade. I chose the fourth shade of the picture Qc Colada Pink. What is my impression after use? Very cool creamy formula comfortable to wear. Will not agree with the manufacturer's promise about the durability of this lipstick. This is definitely not long-wearing ! After eating the sandwich on the mouth there was no trace of this lipstick. I would understand if this was a sandwich with something greasy but it was just tomato, ham and cucumber so a small disappointment😕. Beyond the longevity, the rest of the impressions for a big plus! Doesn't dry out or stain and the color is very beautiful. 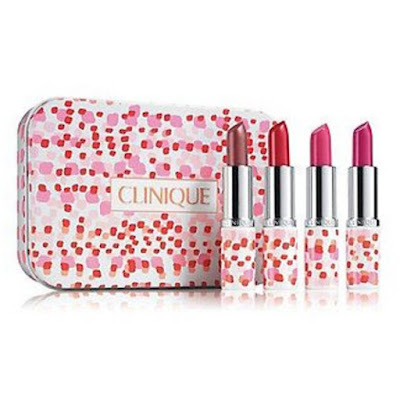 I think for the price US$9.75 or £25.00 it's worth buying the whole set.